WattElse is an active member of EDORA, the Renewable Energy Federation. EDORA brings economic players together to develop innovative products and services related to the energy transition, the integration of renewable energy and sustainable energy management. WattElse is a member of the Cluster TWEED (Energy, Environment and Sustainable Development Technology of Wallonia). 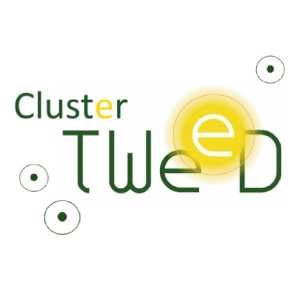 Cluster TWEED is a Belgian organisation with more than one hundred active companies in the sustainable energy sector. Its objective is to play a major role in business development in the sustainable energy sector. WattElse is a member of Valbiom which promotes the biomass sector in Belgium. This organisation fulfils several duties like project support and business development in the field of bio-energy and bio-based products. WattElse has settled a partnership with Quimesis company to develop an innovative and technological product in the field of energy monitoring. Quimesis is a dynamic company active in the field of robotics and electronics. Having complementary skills and a common view, this makes a ideal association for ambitious projects. A privileged partner of WattElse. This French company specialises in renewable energy. Its task is to develop projects suited to the specific needs of each region in consultation with all stakeholders (residents, local councillors, local authorities).